She’s as pink and as pretty as the flower that inspired her name, and her sweet face opens with happiness as you scoop her into your arms. Now, bring home the adorable Megan Rose Baby Doll, available exclusively from The Ashton-Drake Galleries. 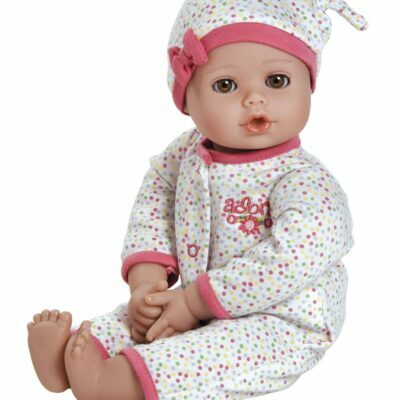 A So Truly Real® Collector’s Edition by Master Doll Artist Sherry Rawn, this lifelike baby doll is sure to bring you lots of joy and steal your heart! 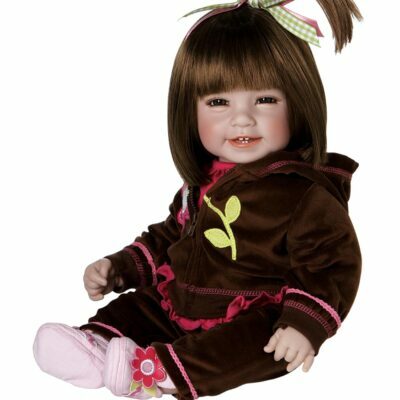 As with all of Sherry Rawn’s collectible dolls, this So Truly Real® doll has lifelike features, sparkling eyes and plenty of personality. Her soft cloth body is poseable and weighted to feel like a newborn in your arms, with hand painted RealTouch® vinyl skin and soft hand-rooted hair. Dressed in a rose-printed sleeper featuring an abundance of soft pink ruffles, this RealTouch® vinyl doll loves snuggling with her ultra-plush, ultra-soft blanket; look closely to see it’s a flower bed of swirling fabric shaped to look just like individual tiny rosettes. As with all of Sherry Rawn’s collectible dolls, this So Truly Real® doll has lifelike features, sparkling eyes and plenty of personality. Her soft cloth body is poseable and weighted to feel like a newborn in your arms, with hand painted RealTouch® vinyl skin and soft hand-rooted hair. Dressed in a rose-printed sleeper featuring an abundance of soft pink ruffles, this RealTouch® vinyl doll loves snuggling with her ultra-plush, ultra-soft blanket; look closely to see it’s a flower bed of swirling fabric shaped to look just like individual tiny rosettes. Strong demand is expected for the Megan Rose Baby Doll, so don’t wait. Order now!